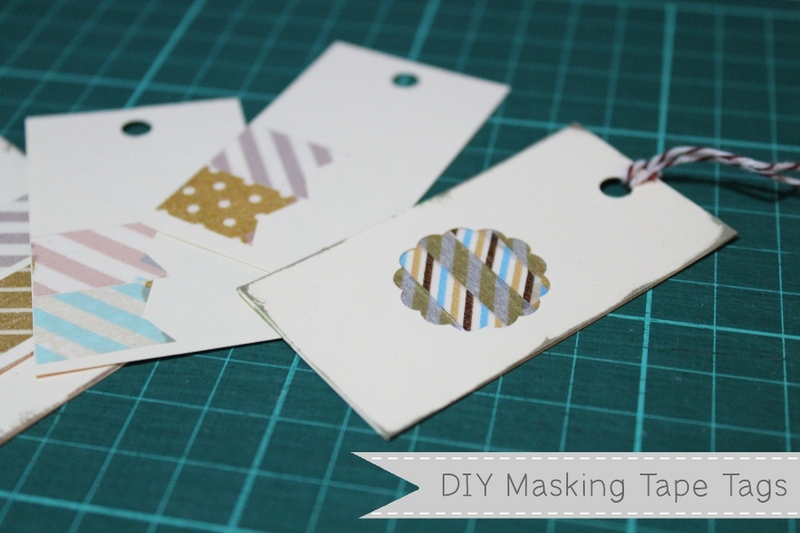 I would like to share with my readers on how to make gift tags with masking tapes. The idea is inspired by Paper Strip Easter Egg Art that I found on Pinterest. 1. 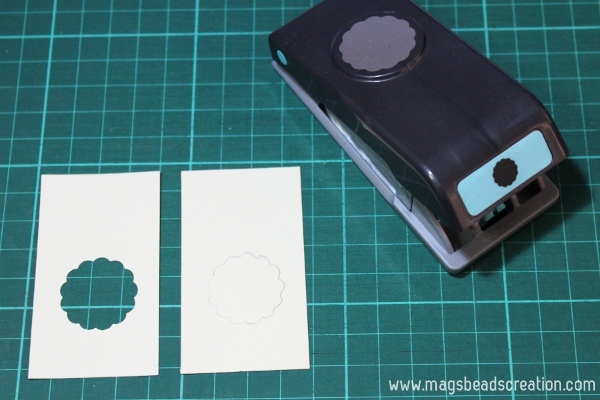 Begin by punching in the middle of one piece of small tag using the medium punch. 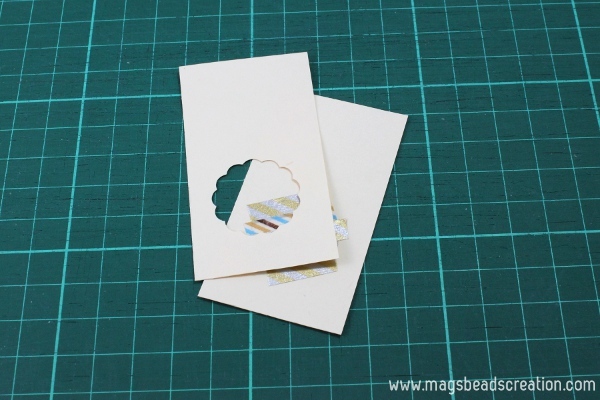 Use pencil to lightly mark another piece of small tag around the punched hole. 2. 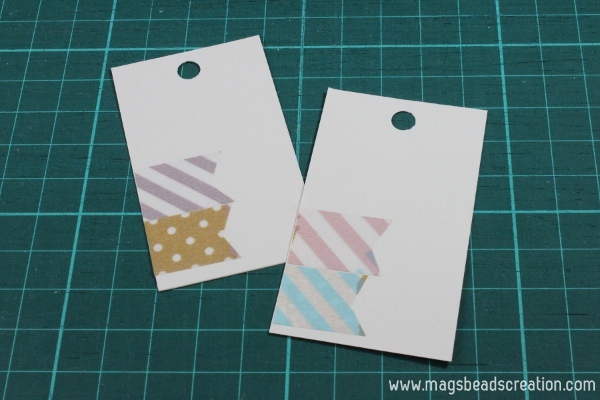 Randomly put the washi tapes over the marked small tag until the mark is covered. 3. 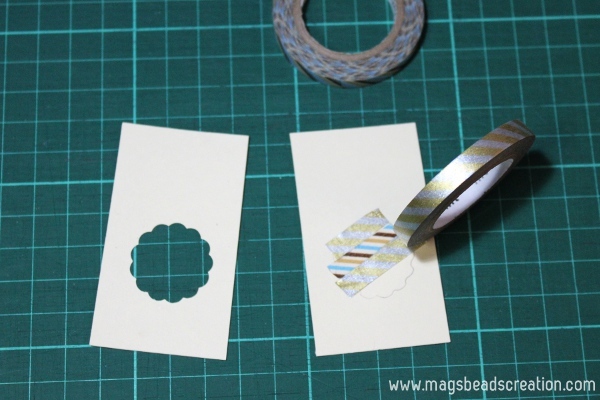 Place the punched small tag on top of the tag covered with washi tapes. 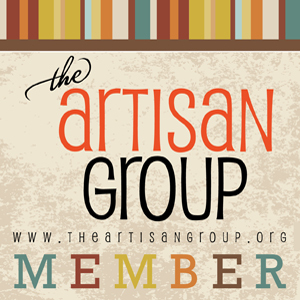 Secure with glue or adhesive. 4. 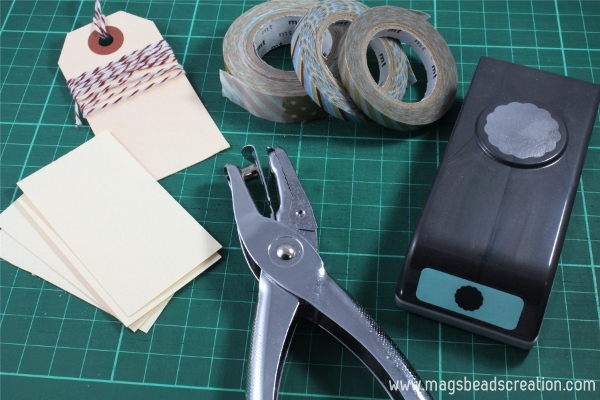 Punch a hole on top of the small tag and fix the baker's twine. 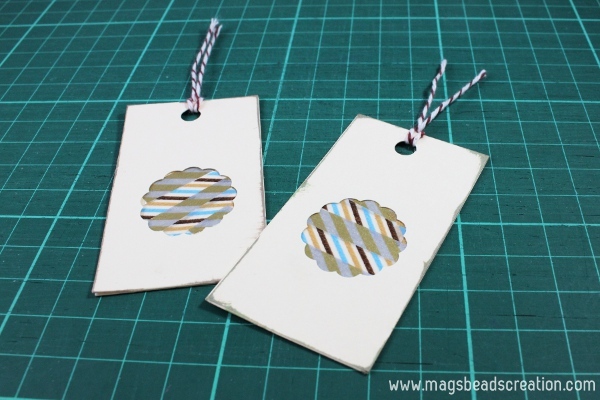 Have fun making these tags and have a great weekend!